Did you know there are high-voltage certification solutions which take only a year? UL and ELTEK International Laboratories have put their heads together to offer streamlined testing and certification solutions for high-voltage (HV) electrical insulation systems (EIS). The UL HV certification assures specifiers and end-users that a product has been certified to meet global standards. UL and ELTEK’s simplified approach to HV projects brings significant advantages – and a pilot project with SGB-SMIT proves it. A true WIN for the customer, a WIN for the testing laboratory and a WIN for UL. SGB-SMIT Group, a leading power transformers manufacturer, recently turned to UL and ELTEK for a fast solution to their HV testing and certifications needs. The electrical insulation systems in HV transformers for data centers and windmills needed to evaluated through a thermal endurance test, to gain access to North American markets. Previous in-house attempts to tackle testing were too complicated and other partners offered limited services. 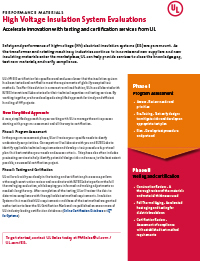 The two-phased approach of “Program Assessment” and “Testing & Certification” designed by UL and ELTEK dramatically simplified the process, providing a faster and more effective approach. and finally evaluation of results, and UL certification. Although there were numerous parts and aspects to be tested, the certification process was complete within one year. 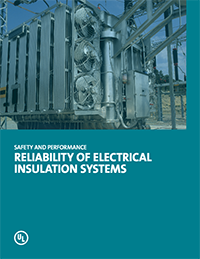 That’s a big improvement over the standard 3-5 years needed for the testing and certification of high-voltage (HV) electrical insulation systems (EIS)! 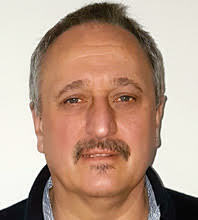 A chat with Lother Stuber at the SGB-SMIT Group sheds light on some more advantages. Lother Stuber can’t stress enough how much the UL and ELTEK process helped SGB-SMIT gain access to critical North American markets. First, the UL Mark is recognized and respected in the U.S. and Canadian markets – so much so that suppliers and customers frequently request it. Secondly, the speed of the solution – bringing SGB-SMIT first over the line, and well ahead of its competitors – offers advantages on many levels. When SGB-SMIT can deliver their products faster to market, their customers then can move ahead more quickly with their sales. Stuber points out that with SGB-SMIT well ahead of other transformer providers in new markets, it has an improved opportunity to gain a foothold and build a reputation. Competitors will certainly soon learn about the UL and ELTEK advantage, but SGB-SMIT is happy to be ahead of the pack and looks forward to ‘transforming’ their market presence in North America. Since 1913, the SGB-SMIT Group in Regensburg, Germany has built up a now international reputation as a manufacturer of power transformers (50 kVA up to 1,200 MVA). The success of the company rests on a strategy focused on high-quality standards for engineering and manufacturing, realizing customers’ needs, and delivering products quickly and reliably. SGB-SMIT Group has locations all over the world and works closely with dozens of international customers, suppliers and partners. 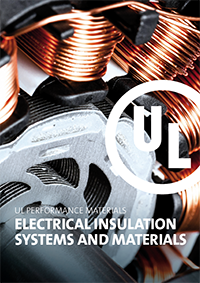 The PERFORMANCE MATTERS eMagazine is intended to serve as a platform for UL’s Performance Materials division and the UL Thermoplastics Testing Center to share news, information and insights with the industry’s key stakeholders. UL is a global independent safety science company with more than a century of expertise. UL’s comprehensive testing, certification, assessment and regulatory compliance services are designed to foster innovation, enhance product and process quality, enable safety and help our customers meet their business goals. The UL Testing Facilities for innovative plastics at Chempark in Krefeld-Uerdingen is a leading international supplier for compounding, test specimen production and testing and certification – from polyolefins to high-performance thermoplastics.